He is in any intelligent discussion regarding “who is the greatest tennis player of all time” … and now, in one swift move, Roger Federer has completely changed the game of tennis on a worldwide basis. For more than 20 years, Federer was a Nike guy. As the finest tennis players in the world arrived at Wimbledon this week to take center stage from center court, everyone noticed the biggest news story of the sports world was no longer LeBron James signing with the LA Lakers … it was the fact Federer was a Uniqlo Guy now. 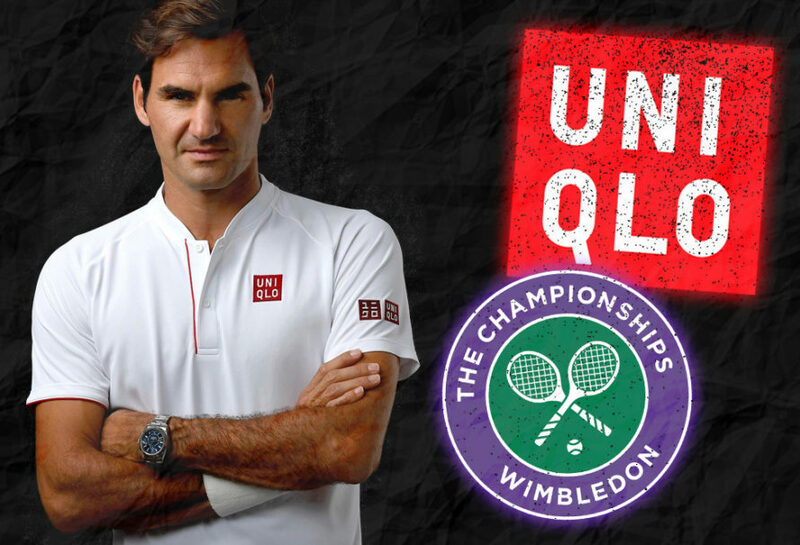 Federer has been named Uniqlo‘s global brand ambassador, which means he’ll be wearing the company’s gear for all of this year’s tournaments … starting, of course, with Wimbledon. So Federer is no longer wearing Nike branded gear, he’s showing up in Uniqlo and obviously respecting the Wimbledon-required all-white colorway. According to a report posted on the Esquire website, the outfit was designed at Uniqlo’s R&D Center in Paris, which is headed by artistic director Christophe Lemaire. And Lemaire, who also heads up an eponymous label as well as the Uniqlo U brand, is the perfect person for this kind of job. His attention to detail—a stand-up collar for Federer rather than a polo; burgundy making subtle but strategic appearances on the clothes—complements Federer’s equally clean, sophisticated playing style. And then there’s the simple but all-important issue that Uniqlo itself addressed in announcing this partnership: In the brand’s own words, “Uniqlo is not a sports company.” Considering Federer is coming from the biggest sportswear brand in the world, this new partnership doesn’t just represent a shift in stylistic preferences, but in the way the tennis star approaches his career and image. It’ll be interesting to keep tabs on what happens next. Our hopes are high. We’re HustleTweeting about Roger Federer and Uniqlo, and you’re more than welcome to join the conversation by following the Hustle on Twitter HERE or by hitting LIKE on our hyper-interactive Facebook page HERE!